Decades from now, some lazy historian is in danger of confusing Obama for an anti-government radical. 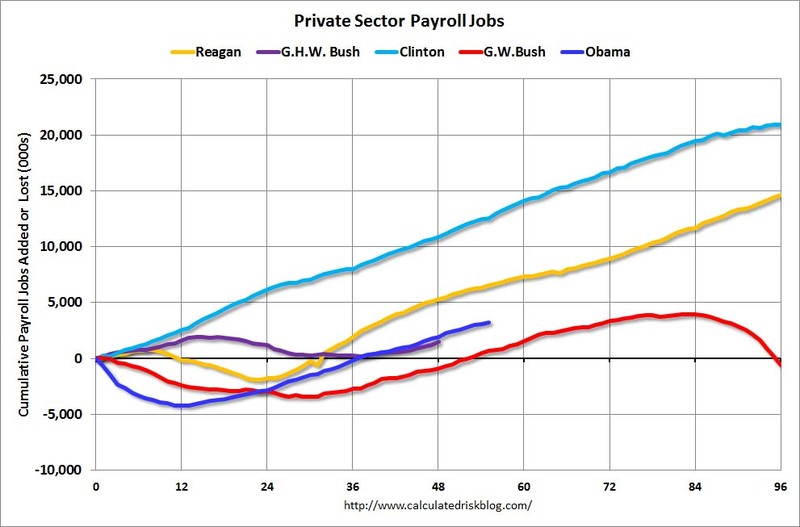 Basically, he's going to look at the president's record of job creation and see that Obama presided over a historically bizarre period of private-sector job creation combined with public-sector-job destruction. 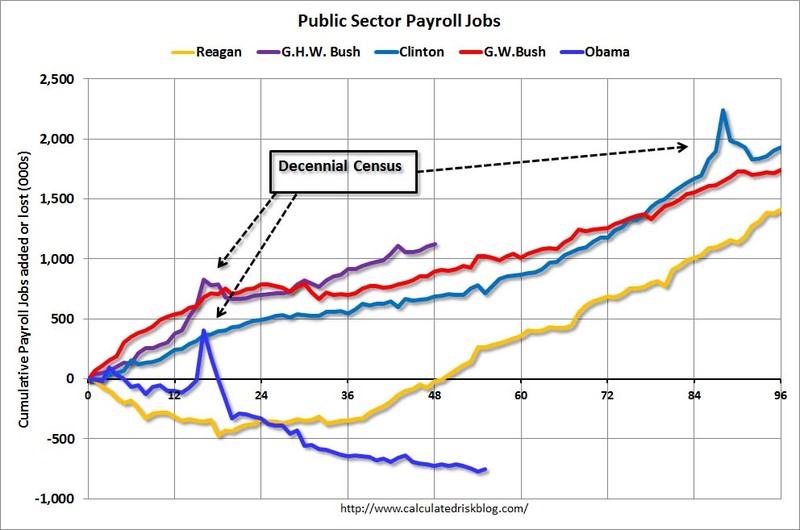 The public sector collapse was not Obama's plan. It is not his fault, really. It is scarcely his responsibility, since the vast majority of government jobs -- and of government jobs lost -- have been at the state and local level. The recession devastated state tax revenue, and states cannot borrow from international lenders like Washington. So most had no choice but to cut workers. The stimulus delayed, but did not indefinitely defer, the blood-letting. And, since Congress refused to extend support even as interest rates clung to historically low levels, it's been brutal. If we held government employment perfectly steady since Day One of Obama's presidency -- not one more government job, nor one less -- job creation would have seen a 25 percent boost. Instead, Obama's legacy will include an historically strange post-recession collapse in government unemployment -- and a powerful lesson in the limits of presidential power.